Neal Seigfried was thinking of helping his fellow amputees when he asked his friends to donate to OPAF and The First Clinics (www.opaffirstclinics.org) in lieu of giving him a gift for his birthday. Image courtesy of OPAF and The First Clinics. While OPAF and other organizations that offer support and aid are valuable assets in the lives of amputees, they cannot accomplish their important work without assistance from individuals like Seigfried who donate their money, time, and skills. Amputees have the opportunity to make a difference in the lives of others through volunteering; participating in support groups; starting an organization; raising funds; attending political protests; writing letters; or offering their marketing, creative, or other needed skills. Ryan Fann is doing just that. Fann lost his left leg below the knee at age 3 as a result of being hit by a truck, and today, he has a passion for helping other amputees. As a senior in high school, Fann was selected to play in the Tennessee East/West All-Star football game, and a Paralympic coach saw the story ESPN did about the game. That coach contacted Fann and his father to tell them about the Paralympics and also connected Fann with prosthetist Chad Simpson. Simpson built Fann a running prosthesis at no cost, which helped him succeed in achieving several athletic goals, including winning a gold medal at the Paralympics. After later becoming a prosthetist, Fann had a strong desire to help others as he had been helped. 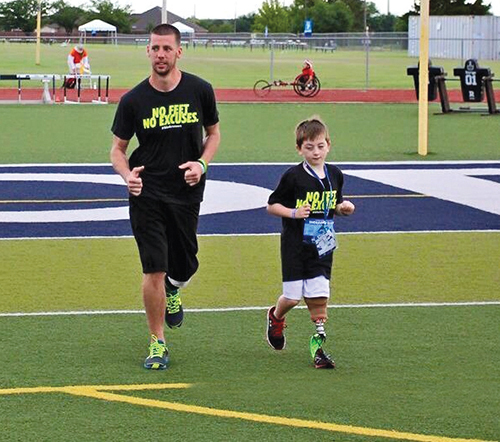 In 2011, he co-founded the Amputee Blade Runners (ABR) (www.amputeebladerunners.com), an organization that provides running prostheses to amputees at no charge, since many insurance companies consider them luxuries and don’t cover them. OPAF, ABR, Vermont Adaptive Ski & Sports (www.vermontadaptive.org), and other such organizations receive different types of assistance from various sources. 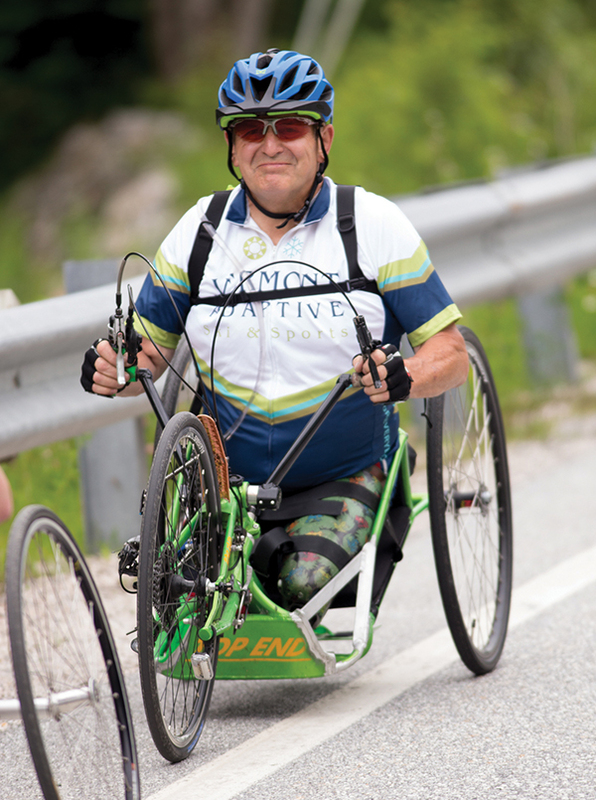 In 2018, for example, more than 600 cyclists, including more than 55 adaptive athletes, their guides, and assists, participated in the 8th Annual Long Trail Charity Ride to Benefit Vermont Adaptive. They raised $280,000 for the organization’s year-round sports, recreational, and other programs for people with disabilities, which are offered to participants regardless of their ability to pay. People who are passionate about an organization’s mission can be the backbone of its fundraising efforts. And to help, they don’t have to be wealthy. Ryan Fann. Image courtesy of Amputee Blade Runners. Everyone at all levels of giving—whether large or small—can make an impact, says Vermont Adaptive. If enough people get involved, those ten-, twenty-, and hundred-dollar donations add up to substantial support. In addition to the benefit of knowing they’ve helped someone by participating in such events and supporting such causes, it can also be lots of fun and offer great opportunities for developing camaraderie. Seigfried doesn’t end his efforts to help amputees at raising money. He is also active in his local support group and is a peer visitor who makes an average of four to six visits to amputees a month. 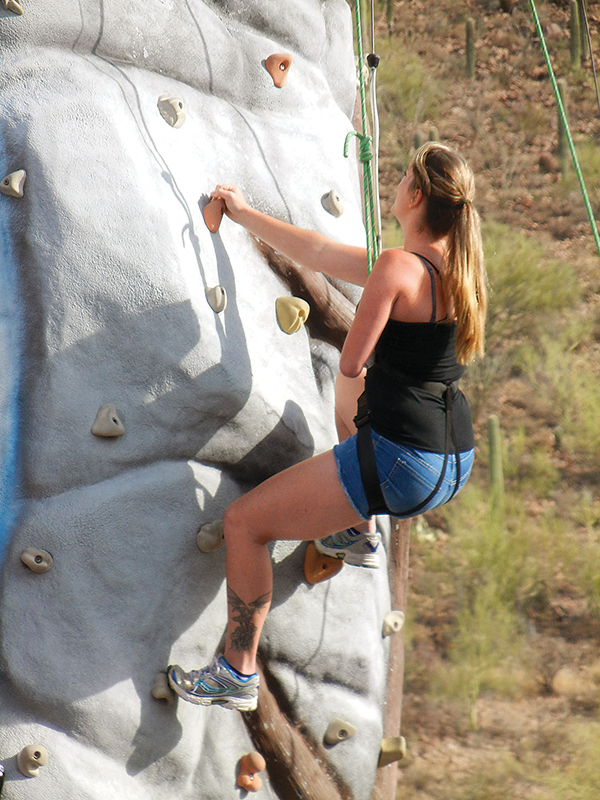 While assisting organizations and causes is a great outlet for amputees to give back, many say that participating in these efforts offers them far more than they give. It can give them a sense of purpose in life, and for many, it becomes their passion. Editor’s note: If you’d like to assist a limb-loss related organization or cause, try to find one whose vision aligns with yours. The wide variety of existing organizations focusing on charity, education, youth, prevention, emotional support, political action, and sports should make it easy to find one that you can be enthusiastic about. If not, consider starting one that more closely fits your goals, and then seek help from others who share your vision. SLIDER IMAGE: Image courtesy of OPAF and The First Clinics. TOP IMAGE: Ryan Fann. Image courtesy of Amputee Blade Runners. Whether you want to help an organization or cause through fundraising, volunteering, participating, or offering your special skills, the following tips might spark a few ideas. • Host or participate in a fundraising tournament. Golf tournaments, for example, have been used by many amputees to raise funds. The Jordan Thomas Foundation (www.jordan thomasfoundation.org), a nonprofit organization that provides children the prostheses that they need to lead active and healthy lives, hosts one annually. Another tournament, the 9th Buffalo Amputee Golf Classic at Brierwood Country Club in Hamburg, New York, raised funds to help young amputees attend Camp No Limits (www.nolimitsfoundation.org), a camp for children with limb differences and their families. • Host or participate in a sponsored walk, run, or hike. No Barriers USA (www.nobarriersusa.org), for example, hosts an annual What’s Your Everest fundraising hike (www.whatsyoureverest.org) in which each participant is asked to raise a minimum of $250. • Connect your fundraising event to an interesting or fun theme. Jordan Weathers, a nonamputee, donated more than $1,000 to OPAF because he’s a Star Wars fan and many of its characters have lost limbs, says Robin Burton, OPAF’s executive director. • Host an auction with donated items. People who don’t have cash to donate may still be willing to donate items, such as tickets, artwork, or cars. • Ask family members, friends, and others to donate to an organization or cause instead of sending you flowers when you’re in the hospital or giving you a gift. • Set up a GoFundMe page or similar platform to raise funds. • Start a matching gifts program. Find someone who is willing to match any gifts donated by others. Sometimes, donors are more willing to give when they know their gift will be doubled or tripled by someone else. • Donate land, building equipment, office space, writing or design services, printing, or something else of value. If you are a prosthesis manufacturer, O&P facility, prosthetist, or physical therapist, consider donating or offering a discount on your products or services to assist an organization or cause. • Host or participate in a bake sale, rummage sale, or raffle to raise money. Just make sure that it’s legal in your area first. • Organize or participate in a political campaign or protest that benefits a cause important to amputees. • Vote and consider candidates’ positions on the rights of people with disabilities; funding for Medicare, Medicaid, and Social Security; and protections for pre-existing conditions. • Seek corporate sponsors. Many companies are looking for opportunities to help worthy causes. Can you find one whose interests align with yours? Image courtesy of Vermont Adaptive Ski & Sports.